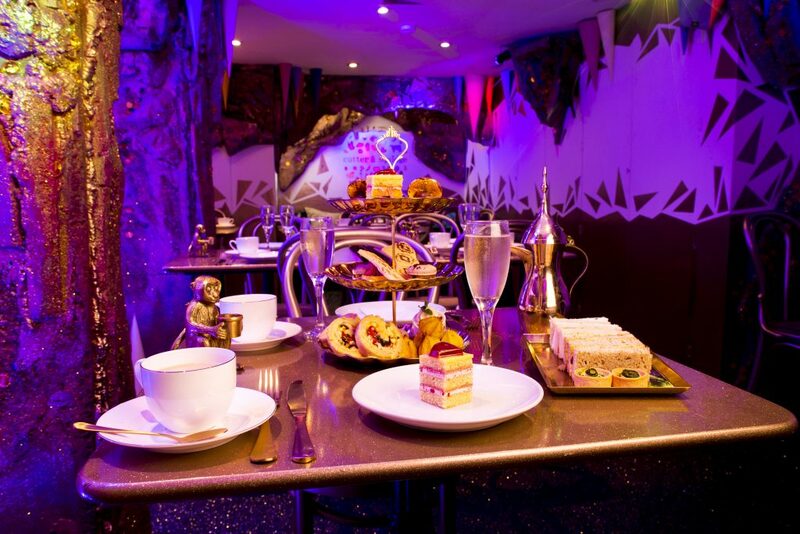 If someone asks, ‘Would you like to try a Genie’s Cave Afternoon Tea?’ you know what the answer has to be, right? Oh yes, I booked immediately! 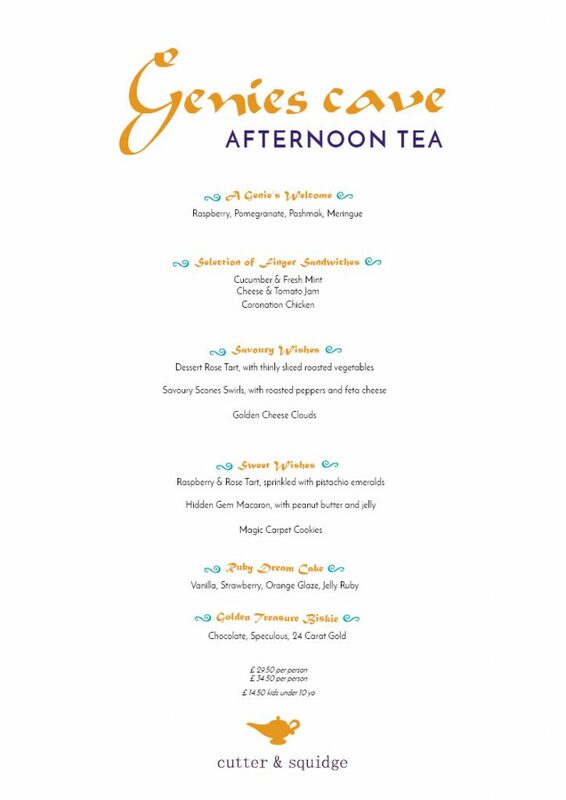 This limited edition themed afternoon is on at Cutter & Squidge in Soho for the summer. This bakery has been a hit on the London cafe scene since it opened 18 months ago. 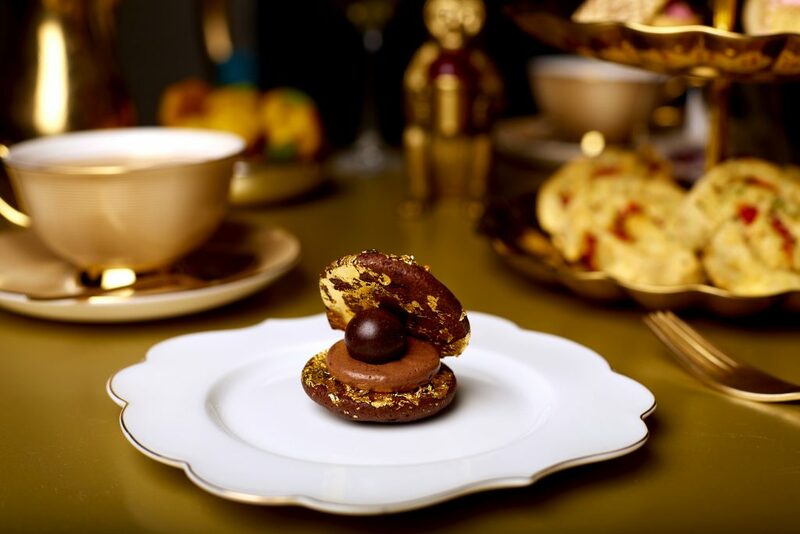 Started by two food obsessed sisters, Annabel Lui and Emily came up with their unusual name when they were making their now famous Biskies for Harrods. Biskies are a sandwiched dessert with a light buttercream between two cookie-cakes. 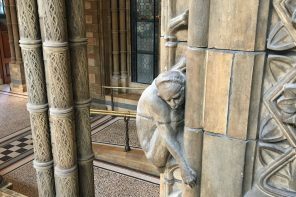 They supplied Harrods while still working full-time and got a rhythm into their baking with one being the ‘cutter’ and the other doing the ‘squidge’ to complete the Biskies. 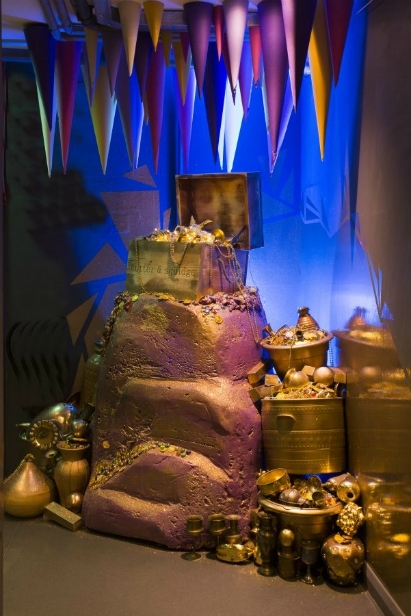 As we had a reservation we simply let someone know at the counter and we were led downstairs towards a golden rock scultpure topped with a treasure chest and a genie’s lamp plus overflowing treasures. You then follow the magic carpet symbols on the floor, go through a glittery archway and you are in the Genie’s Cave. 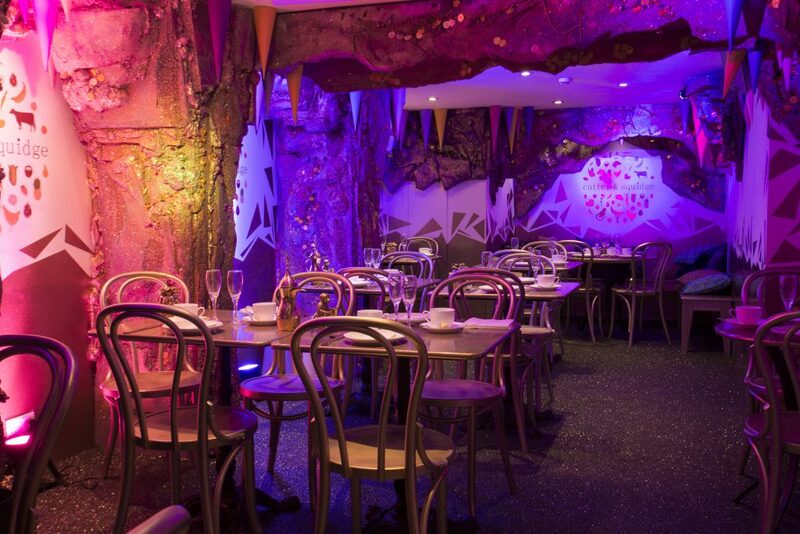 (It’s really their lower level dining area where this team previously created the popular Hello Kitty Secret Garden.) There’s no wifi so enjoy your time without the distraction of checking your phone. Everything sparkles but my glitter phobia was under control as the sparkles didn’t rub off so I was ‘safe’. There are tables for couples and small groups plus a lovely booth at the end of the room with luxury cushions (which is where we were seated). The background music is a mix of tunes from Aladdin the Musical on in the West End, instrumental Disney tunes and Turkish classical music. We were shown the tea menu which had about ten options but we both chose the pineapple green tea as we had already heard how good it is. A ‘Genie’s Welcome’ was brought to the table while the tea was being prepared. We were instructed to break the meringue to release the Genie’s wishes. Oh. My. Word. This was fun and delicious. 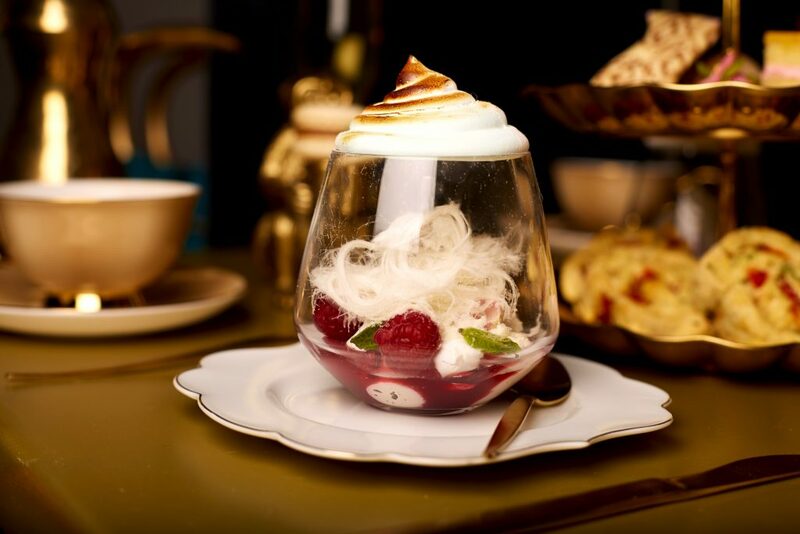 Pashmak is Iranian cotton candy that has to be imported to create this wonderful dish. It’s light, like hair, and goes so well with the fruit flavours. 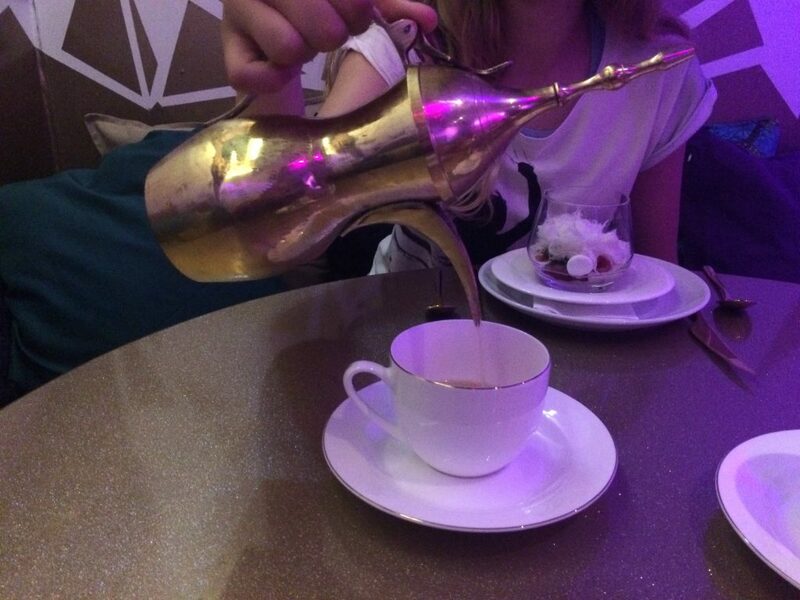 Tea is served in golden Arabian-style teapots which were also bought in Iran. And the pineapple tea is an excellent choice. I had a look at the menu before booking and saw ‘jelly’ was mentioned a couple of times so I thought it best to mention I’m vegetarian as these would usually be the treats I can’t have (due to gelatine). But the good news kept on coming as all of the sweet treats are suitable for vegetarians and even the cheeses chosen for the savouries are veggie too. Once we had finished the starter, the golden three-tier cake stand and a golden platter of sandwiches were brought to the table. 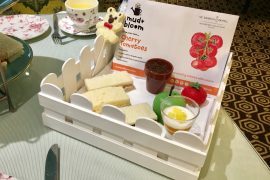 This themed afternoon tea includes the essential dining elements – finger sandwiches, scones and cakes – but nothing is quite what you expect. 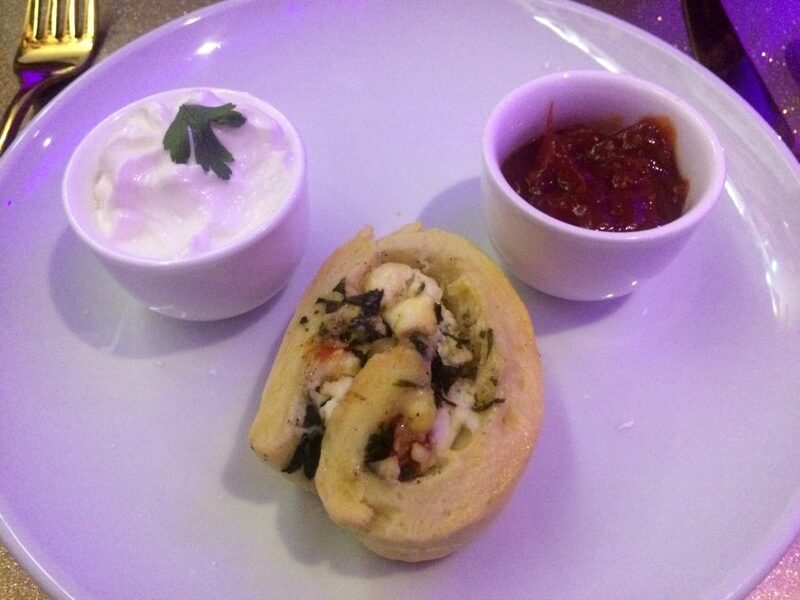 The scones are savoury scone swirls with roasted peppers and feta cheese. And so you don’t miss out on cream and jam they are served with sour cream and tomato jam. The finger sandwiches are quite simple but it’s the sweet treats you come here for. Saying that, the 11yo (my 11 year old daughter) ate all of her sandwiches which is a first for her as she’s usually all about the cake layer on the top of the cake stand. She kept saying, “This is the best afternoon tea I’ve ever had!” and as you can imagine how many she’s been to with me throughout her life you know this is good. 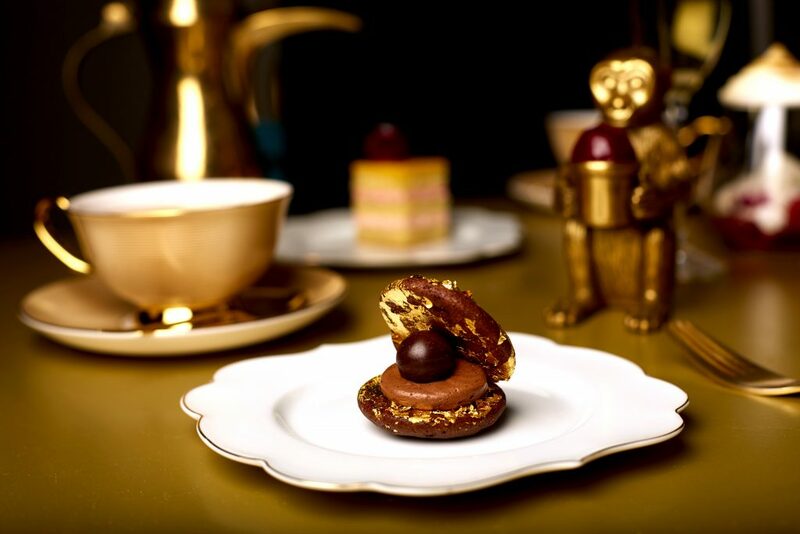 The Golden Treasure Biskie is not only covered in 24 carat gold, it has this pearl centre. We both thought it tasted like gingerbread which was a wonderful surprise. As well as the Biskie a piece of Dream Cake is included which is another of the signature baked delights people come here to try. We were so impressed that this multi-layer piece of cake cut perfectly and tasted so light. The sweet treats are spectacularly decadent without being overly sweet as Cutter & Squidge have reduced the fat and sugar content in their baking without spoiling the taste. They also use no additives or synthetic flavourings and everything is made from scratch in their London kitchen. 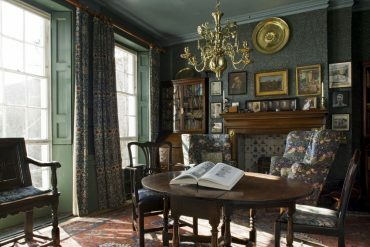 We both thought this was a really well thought out themed afternoon tea in a magical setting. As the 11yo said, it’s really creative and “not posh”. She’s right as unlike a hotel venue, this feels like somewhere you can dress up for or stop by after work or while on a shopping trip. 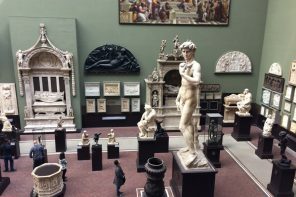 It could be the focus of your time in central London or a wonderful addition to a day out. It’s also family-friendly and there’s a smaller size option for kids under 10 years at a reduced price. 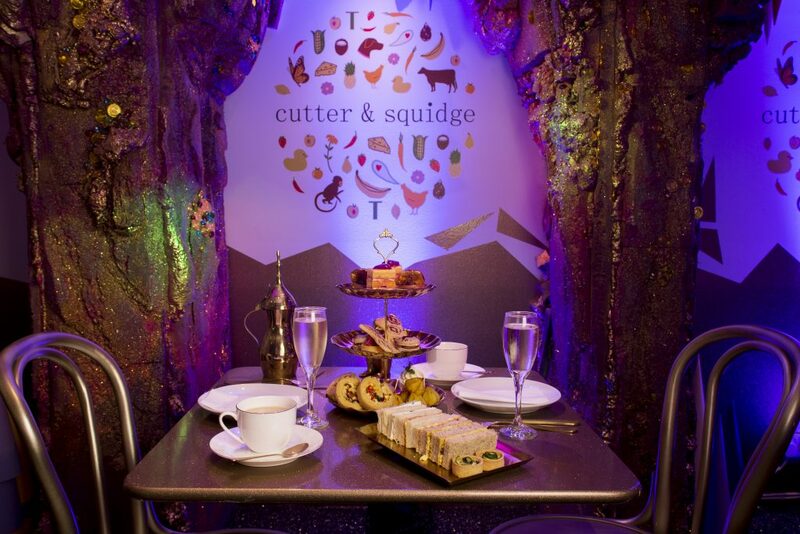 We met the lovely sisters behind Cutter & Squidge and they are already planning future themes. 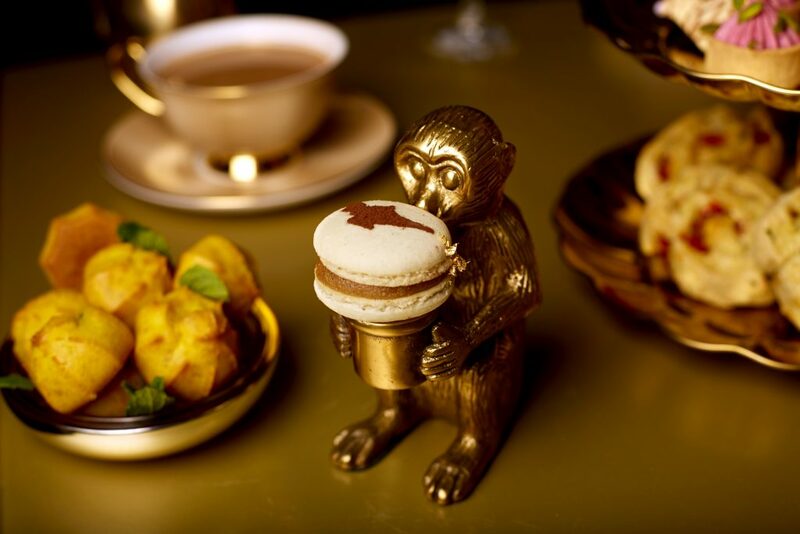 If Disney themed dining in London this is what they would aspire to. Come this summer for your wishes to be granted. 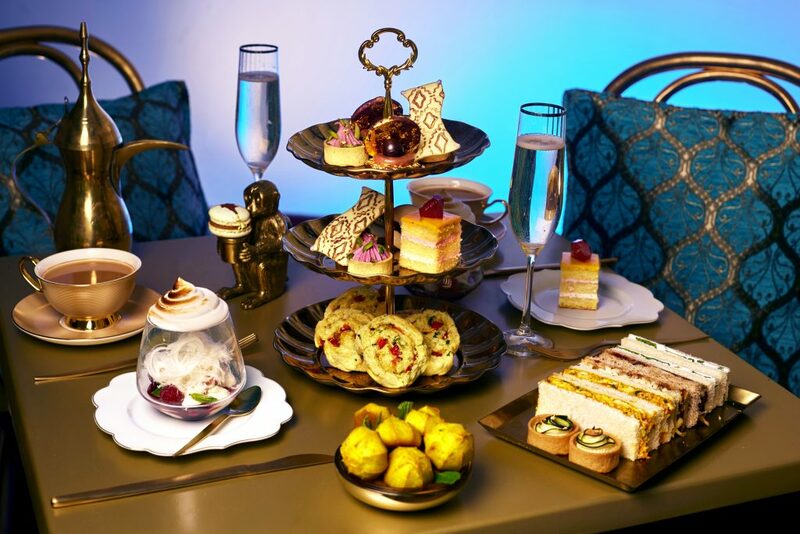 The limited edition Genie’s Cave Afternoon Tea is available until 30 September 2017. 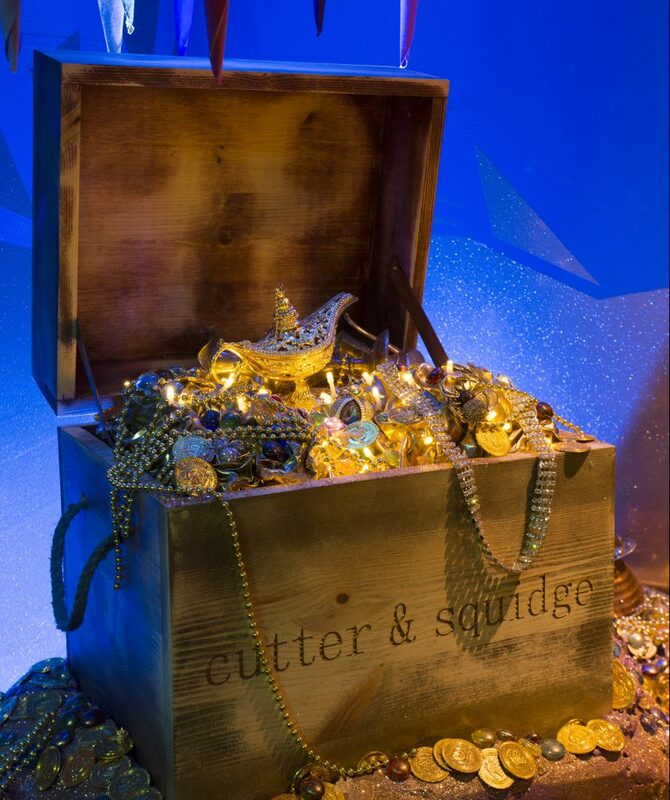 Oh, and I nearly forgot to say, everyone gets a piece of treasure to take home!